Glacial Movements is an Italian record label, known for their focus on cold, desolate and isolating releases. 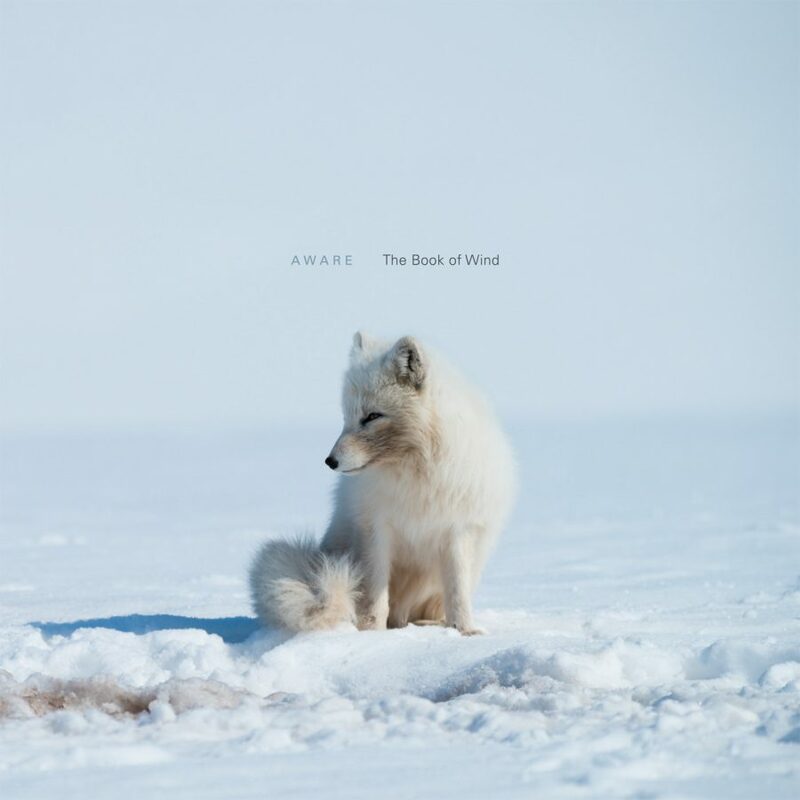 The new release, The Book of Wind by AWARE adds a layer of philosophy and theology to this template of frozen soundscapes. AWARE deliver one of the most relaxing and emotional releases on Glacial Movements with a grace and attention to detail that will be immediately noticeable to the listener. The Book of Wind centers on the concept of using sound structures to invoke a sense of oneness with the godhead. This is not to be confused with ritual ambient. The sounds here are anything but that. The theory is that certain combinations of sounds, crafted just right, though probably by accident, may bring the entirety of mankind to a sense of enlightenment. There is also a philosophical concept presented here which is borrowed from the studies of Simone Weil, who believed that only downward motions were real, conversely ascension constitutes illusion. Feelings of sadness and joy are two faces of a similar structure of emotion. The Viennese musician Alexander Glück, the man behind AWARE, uses a combination of these philosophical principles, field recordings and looped musical samples to take the listener on an inward journey. The result is a serenity of emotion. Listeners may easily fall into this music, delving deep into their inner consciousness. The sounds are certainly melancholic and introspective. The gently evolving drone-work matched with field recordings from nature display a sense of being in a small isolated cabin, deep in the wilderness, contemplating one’s own existence. AWARE describes The Book of Wind as “a collection of essays which never reach their goal, but vanish into nothing, to which they belong.” This is a very apt description of the music. As a whole, the album consists of track names which, when read as one, convey a short poem, or piece of religious scripture. The entirety of the album indeed has an incomplete feel. This gives the listener a hunger for finding the deeper meaning, a thirst for repeat listening sessions. Each replay is able to evoke a new emotion or uncovers a new aspect of the soundscape. The entirety of the album melts into an intermingled whole, where no one track truly stands out above the rest. On the surface this seems to be some shortcoming on the part of AWARE, but in fact, it achieves its goal in simultaneously opening the mind of the listener, yet never giving them a total fulfillment or closure. The length and ephemeral impact of the music makes for a highly enjoyable and replayable album. After dozens of play-throughs, a sense of boredom or repetition never rears its ugly head. The music stays pristine. It gives a sense of longing. Solitude. An attempt to describe any one individual track would be pointless, as the album constitutes a single entity. There is a life in the music which is undeniable. Given the sparse use of beautifully detailed field recordings, the album truly comes to life for the listener. I would recommend The Book of Wind to any fan of ambient, dark ambient or drone music that finds contentment in staring out the window upon a lonely, rainy landscape. Anyone who finds an equal sense of beauty and melancholy in the natural world around them will be drawn into the embrace of AWARE. As usual with Glacial Movements releases, there is more than meets the eye with The Book of Wind, and one must experience it for themselves to truly understand the impact.